Ladies and gentlemen, tickets to my newest cabaret are on sale and going fast! The great adventure of starting the Big Apple Circus and being its artistic director and ringmaster for 38 years continues as I find a new life — as a cabaret performer (I even surprised myself)! This is your once-in-a-lifetime chance to see the NYC stage debut of Katie Galuska, who is 8 years younger than half my age (yikes!). She’s a real find. 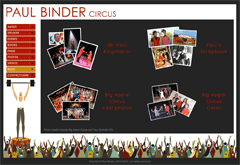 Paul Binder, Big Apple Circus founder and 38 year ringmaster, returns after successful benefit performances of his previous cabarets “Paul Binder Risks His Life Singing” and “The Tall and Short of It” at the Metropolitan Room and various other venues. 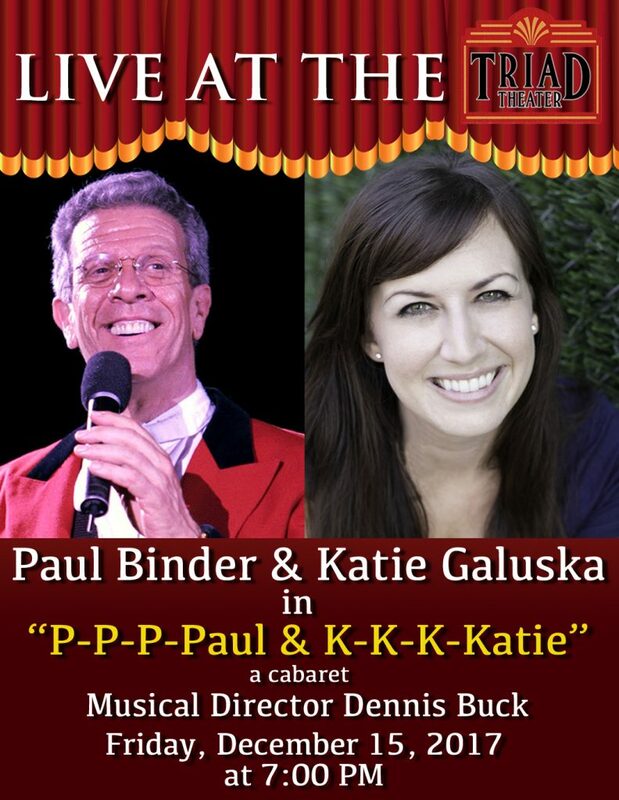 “P-P-P-Paul & K-K-K-Katie” will introduce a dazzling young performer, Katie Galuska, to New York City. Once again, the Music Director will be the brilliant Dennis Buck. Tickets can be ordered online at triadnyc.com. Triad is located above the Turkish Grill (no kidding!) at 158 West 72nd Street, between Amsterdam and Columbus. There is a two drink minimum.